With spring in the air, the time is right to plan your garden. 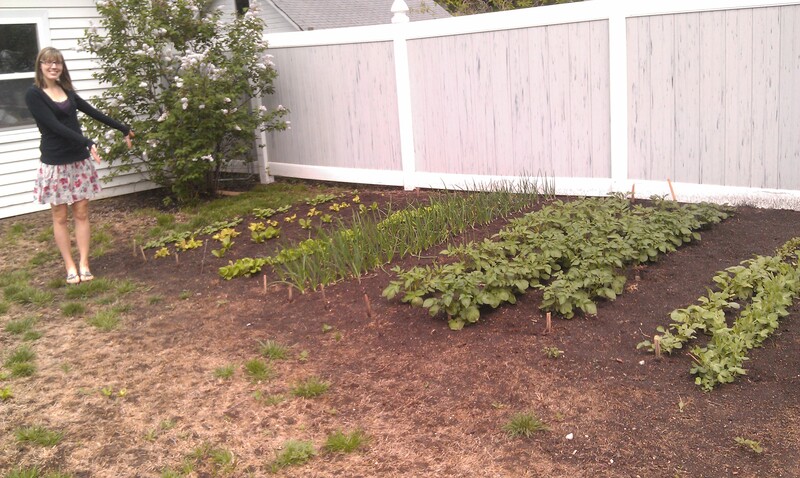 And if you don’t have a garden, maybe you should get one. Landscaping improves the value and appearance of your home, and gardening itself is as rewarding as a home improvement project can get. So, where do you begin? Fertilize – Spring is the right time to take care of this important chore. Fertilize to prolong the blooming period in outside and inside plants. Prepare flower beds – Till the soil and remove dead plant material; and that goes for winter mulch too. Take care of your lawn – Thick lawn growth looks great and also helps control weeds. If it’s thinning, reseed. And get the fertilizer out. Prune – Prune branches, evergreens and young trees; but prune spring flowering shrubs after they bloom. Plant seeds and bulbs – Now is a good time for planting perennials, ornamental grasses and annuals. Tend to your roses – Proper pruning encourages new growth, while feeding them now will help ensure good flowering. Use a rose food with a systemic insecticide to control the bug problem. Remember houseplants – If you haven’t got enough to do so far, remember to prune and fertilize your houseplants. There’s no such thing as foolproof protection against burglars. That’s why securing your valuables – even within your home – is important. A burglar entering your home already knows the obvious hiding places – under a mattress or rug, behind pictures and in or under dresser drawers. So, how can you keep your valuables secure? Besides a safe, other hiding options may provide just as much protection. Food Storage Containers – The cookie jar is too obvious, but you could hide valuables in other food jars, boxes and bags – even, in some cases, if the food is still there. Plastic bags – For instance, place valuables inside a plastic bag or wrap it in foil, stash it in a bag of flour and store it at the back of a shelf. Freezer – If your jewelry isn’t harmed by freezing, place the wrapped valuables in an ice cream container or bag of frozen vegetables. Bathroom Cupboards – Place valuables within personal hygiene items or cleaning supplies stored in bathroom cupboards. But avoid the medicine cabinet. Too many burglars have drug habits or will look for prescription medicines to sell on the street. Diversion Safes – Small, non-locking safes that are made to look like various household items can conceal valuables white appearing as a soup can or water bottle. Did you know that the first documented air conditioner wasn’t even meant to cool the air? It was actually created to dehumidify the hot summer air. In 1902, a young electrical engineer by the name Willis Haviland Carrier created the first modern air conditioner. He worked at the Buffalo Forge Company and while there, he decided to look into how to solve the humidity problem for Sackett-Wilhelms Lithographing and Publishing Company in Brooklyn, N.Y. The company needed the air to dehumidify so the layered inking techniques they used could be applied properly. They couldn’t be applied correctly because moisture would be absorbed into the paper stock at the plant. Carrier realized that by treating the air inside the building by blowing it across cold pipes the air would cool as it passed the pipes. Since cool air doesn’t carry as much moisture as warm air, the process reduced the humidity in the plant and stabilized the moisture content of the paper. Carrier saw the potential and not long after air conditioners began showing up in stores, making the scorching hot summer months more bearable. I can’t say that I’m really sorry all those gray days of winter are getting behind use. One reason the change in the seasons always gets my attention is because it has an impact on how I serve my customers. Spring, for instance, gives me the big warning flag that summer’s coming. As you know, when it does, the phone lines heat up for us. People want a price over the phone. We understand. However, we really can’t say until we take a look at your system but when you do call we will send out a certified technician in a fully stocked truck. He will do a through evaluation and find out exactly what’s going on, then he will show you some options before he does any work so that we only do work that you approve. We are a no surprises company and we want to provide the best possible service to you. “We would hate to give you a price over the phone that is too high or too low that would not solve your problem. Is that fair enough? 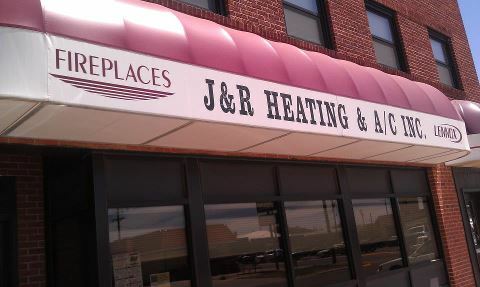 At J & R Heating we offer a large assortment of home comfort services. We can install, service, repair, or replace humidifiers, dehumidifiers, air purification systems, air filters, air cleaners, carbon monoxide detectors, everything related to your ducts, air conditioners, heat pumps, furnaces, fireplaces, radiant heating, energy recovery ventilators, heat recovery ventilators, thermostats, zoning systems, garage heaters, solar panels, and more. Not only did the fiscal cliff legislation passed in January include a tax credit of up to $500 for the installation of high efficiency residential A/C and heating equipment for 2013, but it also made a provision to make it retroactive to include all qualifying installations starting January 1, 2012. If you had qualifying high efficiency equipment installed in 2012 and you haven’t previously used the tax credit, you might just qualify for one. Just remember you would have to owe taxes in order to get a credit. If you think you may qualify, ask your local HVAC dealer. 2. Maintenance Costs – Comparing warranties, reliability and repair costs is the smartest way to evaluate this component. Ask specifically what’s covered in warranties. Companies can offer different – and confusing – warranties. 3. Operating Costs – This usually means “ongoing” costs of using the item. Fuel consumption, power usage and more come into this category. Many products offer “Operating Costs” as a separate label to help consumers buy wisely. In our industry, all three of these components are extremely important in judging a “good buy” versus what could be a cheap rip-off. By concentrating of the efficiency of the system, you can end of saving a lot over the lifetime of the system. All products must meet minimum efficiency standards set by the Department of Energy. But many products beat the standard, use even less energy and cost less to run. This can save you a small fortune over time.